Learning how to save money on your household bills is smart, but saving money and putting it to good use is even smarter. You work hard to pinch pennies, clip coupons, and make your money last, so don’t let that hard work go to waste! Every time you save a dollar, you are a dollar richer. If you leave that money with the rest of your money, you will spend it and forget it. Here are tips to save money with the items already in your household, and suggestions on what you may want to do with the money you work hard to save. If you’re ready to learn how to start saving money on items like food, your electricity bill, clothing, or more, you’ve come to the right place. At the end of this article, we link to lists by category that together show hundreds of ways you can find savings in your household. Track your expenses to find out what your average spending looks like now. This way you can identify what you’d like to reduce. Reduce spending by reading tips to save money around your house and putting those tips into action. Set a goal so you remember why you’re putting in the effort to save money. Do you want to go on a long-awaited vacation? Pay off a credit card? A goal will keep you motivated month after month. Continue tracking your expenses each month to watch your savings grow. Transfer the money saved each month into a savings account or apply it to your credit card or mortgage. More on that below! Use the money you save with our savings tips to work toward your goals. 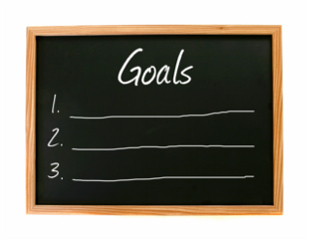 Before we can reveal the best tips on saving money for your goals, you should first decide what your goals are. Once you have decided why you are reducing your spending and saving your money, you will be able to figure out what to do with the money you’ve saved each month. Consider setting up a Tax Free Savings Account (TFSA) to begin saving for an emergency fund if you don’t feel ready to handle any financial emergency that’s thrown your way. You may also want to use a TFSA or other high interest savings account to save up for vacations, home renovations, or other goals. If you have credit card debt, or an amount owing on a line of credit or loan, remember that every dollar put towards paying down your debt makes a big difference. If you can cut spending by just $3 per day, you will have paid down an extra $1000 of debt at the end of the year! Apply the monthly savings to your debt to become debt-free faster. If you’re consumer debt free, additional payments made to your mortgage will help pay off your mortgage much faster. If your mortgage was $960/month, and you were able to reduce spending and contribute an extra $40/month to your mortgage payments, you’d take 1.8 years off of your 25 year amortization and save $10,686 over the life of the mortgage. Now that’s money well saved! Discovering how to save money in your household is the first step, and then actively saving money to reach your goals is the next. You know those people who have tons of savings? Usually, they haven’t been gifted that money. They work hard to find tips for saving money first, they put those tips into action, and begin actively saving towards their goals. The key is to have a plan for the money you’ve saved, so you can reap the rewards of your hard efforts. Happy saving!